On our annual visits to the Gaza Strip, we’ve had the opportunity to speak to UNRWA mental health counselors, refugees themselves, to learn why they do what they do and hear of the hope they maintain for Gaza's next generation. These five counselors who shared their stories work tirelessly to ensure children receive the respect, dignity, and support they need to become positive, contributing members of Palestinian society. "I am proud to be a counselor because the core of my work is to value and respect people. I get to draw a smile on their faces, care for them, and care about their feelings. I dream that my people -- especially children -- live in peace with healthy minds and bodies. In our work, we are always trying to make sure people feel safe, secure, and peaceful. Americans should support our work because good mental health is the basis of success in all other aspects of people's lives -- from their livelihoods to their overall health condition. If the person has good psychological health, he or she is able to deal with all other situations better. To me, a healthy Gaza is peace, good mental health and well being, and access to basic needs and services." 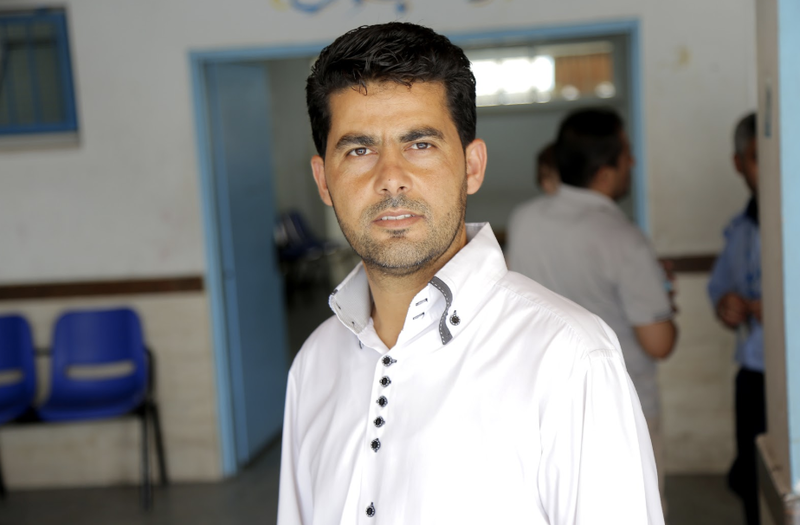 "I am an UNRWA counselor to serve my community because they deserve to live in dignity. My dream is to live in peace. I hope for a decent life for our children. Mental health is the most important thing. This person should enjoy good mental health. If his mental health is good, all of his life aspect’s will be good." "I am an UNRWA counselor because I love my work focusing on providing psychological support to children. I hope for a better life for our children Gaza." "I am an UNRWA counselor because I love people. I like to support them and help them deal with both daily issues and the harder problems they face in life. I hope that the children of Gaza can enjoy good mental health and enjoy their rights and all aspects of their lives, as other children all over the world do. It is my hope that all Palestinian people live in peace and security and do not have to experience fear and panic. Americans should care because the children are in great need and should be supported. The people of Gaza are facing challenges in all aspects of their lives, and so they are in need of American support and for Americans to care." "I am an UNRWA counselor because I want to put hope and optimism in the children and their parents. My dream is that we and our children will live as others live in the world." This event raises funds for UNRWA’s Community Mental Health Programme (CMHP), which supports thousands of Palestine refugee children in Gaza affected by PTSD and other psychological trauma.